Could 3D camera tech be the next big mobile innovation? Technology brands are constantly searching for the next big mobile innovation that will give them the edge over their competitors. Most exciting for us is that these innovations regularly open up a huge array of exciting new ways that brands can talk to and be experienced by consumers. Could be 3D camera technology be the next innovation to go mainstream? According to a recent report from a leading analyst at KGI, the upcoming Apple iPhone 8 will feature a “revolutionary” front camera and infra-red module that will allow it to sense the 3D space in front of it. Using algorithms from PrimeSense, a tech company that Apple acquired in 2013, the new phone will be able to scan, map and render its surroundings in 3D, opening up a huge variety of potential new features. These are rumoured to include face recognition and iris recognition ID, advanced augmented reality, and 3D selfies. Apple isn’t the first tech firm to experiment with this innovation. Amazon introduced a version of it on their Fire phone, while Google trialled their Project Tango augmented reality technology on Lenovo’s Phab 2 Pro phone. Neither offering met with much success, but if the technology is included in a market leader like the iPhone, there’s no telling how quickly it could become part of our everyday lives. While new, innovative technology like this is certainly exciting in and of itself, what is most intriguing for us at Underscore is how this latest mobile innovation could be taken advantage of by brands. The first and most obvious potential forum of this technology will be social media giants like Snapchat and Instagram. 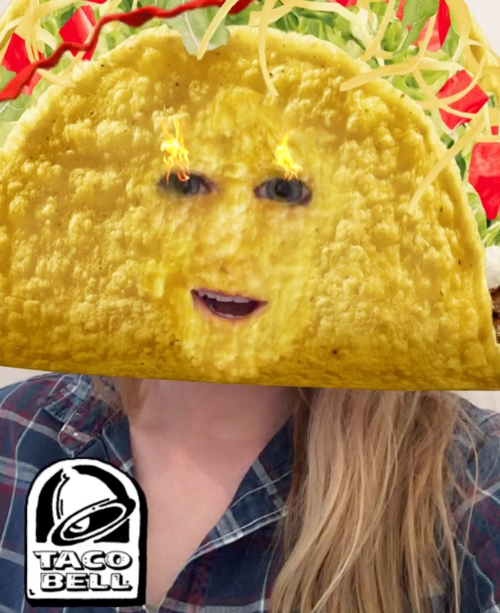 Snapchat’s augmented reality ‘lenses’ are already immensely popular, and brands have frequently utilised them to create organic, shareable content. The addition of more accurate, 3D augmented reality will open up a vast array of options for brands looking to organically implant themselves into people’s selfies and videos. A second and slightly more ambitious use of the technology could see brands integrating their followers in their campaign material in novel and engaging ways. Picture, for example, an accurately rendered 3D image of your face appearing in personalised ads on your phone? Or how about being able to try on a pair of trousers at the click of a button, bring futuristic digital changing rooms into your own home? Want to know if that IKEA bookshelf will fit into your living room? Why not just open the IKEA app and see for yourself?